Our first article in our Life After 40 series looks at some of the natural differences in female and male athletes from the viewpoint of a coach. I had the pleasure of sitting down with tennis instructor and educator Peter Townes and talking to him about what he saw were some of the differences between girls and boys from a coaching standpoint. Mr. Townes has had over 30 years experience as a tennis coach. In that time he has coached girls, boys, men and women. He has coached national and regional champions, juniors, college athletes and professional players. He has a wealth of knowledge and insight into coaching both female and male athletes, so speaking with him was the best way that we could think of to kick off our series. Question: Mr. Townes, I know that you got your start in the Washington, DC area, but where are you coaching now? 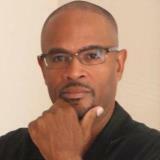 Answer: Right now I’m providing private and small group lessons in the Atlanta, GA area. Question: Can you tell us about your coaching styles for girls and boys? Answer: Over the years I have coached hundreds of girls and boys, and since the beginning of my career I have always taken the philosophy that girls are just as capable as boys of being successful in tennis and in life. The ultimate goal for all of my players is to win. I treat every player as an individual, so my coaching style will vary depending on the particular athlete. For instance, some athletes respond better to aggressive coaching while others require a more delicate style of coaching. So I won’t say that I have one style of coaching for boys and one style for girls. Rather, I coach the individual. Question: So what are some of the differences that you have noticed between coaching girls and boys? Answer: Naturally, because of puberty I think that differences really start to become apparent during the teen and pre-teen years, so I’d like to preface this discussion by stating that when I speak of girls and boys in this instance, I’m speaking of athletes from the ages of about 13 to 18 years old. Since I train girls and boys daily, side by side, in groups of no more than 12, four days a week, so I think I spend a healthy amount of time with them. And have become keenly aware of the differences. The most obvious differences are the physical. Boys are naturally stronger and faster. However, in a sport like tennis where a large portion of the game is mental and strategic, the physical differences do not make the game any less exciting or interesting for girls when compared with boys. I have also noticed that females seem to mature mentally a little faster than the males. Specifically, I find that they can learn different strategies and develop discipline sooner than males. For instance, I could tell one of my 14-year-old girls that we’re going to work on cross-court backhands for an hour. She’ll get right to work without question and is able to pick-up on the nuances of what I’m trying to teach her. A 14-year-old boy however will usually immediately ask why we’re going to do cross-court backhands for a whole hour. And question me every step of the way. I find that the more advanced the male athlete becomes, the more he begins to sort of buck at authority. The questioning and skepticism prevent the males from picking up on the nuisances of the game as quickly as the females. Question: That’s interesting, and seems to fall in line with science. As I understand it, there have been studies that have proven that females mature faster than males. Have you noticed any other significant differences? Answer: I have. Speaking of science, I know that studies have shown that females can multitask far better than males. I believe this to be true because and is reflective in the game of tennis. Although the females seem to pick up faster what I need them to do, they also have more ups and downs than the males. For instance a female athlete may come to practice thinking about homework, house chores and collegiate SAT’s, while at the same time trying to focus on practicing at a high level. Chances are that I won’t even know that all of this is going on in her head. But occasionally, she might come to practice and have one or two more items she is trying to manage while concentrating on her serve & volley, for example, and that one more thing might be too much to deal with. She might become emotional and have to take a break, to talk or regroup. As her coach you have to understand these issues in the female athlete and know when to back off pushing on the playing field. With the males they usually come to practice and can leave homework, SAT and house chores outside the fence until practice is over. So while it may take them a little longer to pick-up on a skill set, once they’re at practice their mind is there 100%. Overall I do think that there are there differences between coaching boys and girls. But I think that if you are blessed to be able to coach both boys and girls, learning to develop successful athletes around those differences only enriches the experiences of the coaches and the athletes. As a coach it’s your job to learn the difference between the two and get them to maximize their potential to the fullest! Peter Townes may be reached at Peter@ATLAcademy.com and 404-604-1461.